A little intro here, he’s currently working as an eBusiness offer Director at Smile Group with loads of experience in the world of ecommerce. Muneeb: Good to have you with us, how about an overview of our faithfuls? Guillaume: Great to be here. Thanks for the opportunity. Y’all know who I am and where I work. I graduated from a French engineering school long ago and dove right into the world of ecommerce once I saw the potential that lay in it. To this day, I’m in it to my neck. My first company focused on helping SMB’s getting their businesses online, including managing bigger accounts in the field. Muneeb: But why focus on Magento in such a broad field? Guillaume: Magento is the key towards launching ecommerce at Smile. We now have hundreds of projects with Magento from all sorts of businesses. I believe it is one of the most diverse and feature-rich platforms to ever grace the ecommerce landscape. If you do it right, Magento is a game changer. 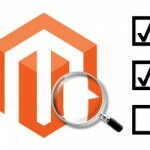 Magento 2 though, makes it even better with added features and more stability. Features include Magento Order Management, Shopping, PageBuilder, etc. 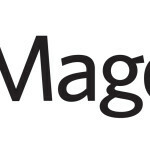 With the ever-growing community backing up development and the recent acquiring of Adobe, Magento’s future looks even better now. Muneeb: You’re experienced in ecommerce, what’s your take on the newbies? Any tips for those looking to dive into ecommerce with a store or a business? Guillaume: Three words for the newbies: work, curiosity, and passion! As far as setting up a business is concerned, that’s a tough one! Ecommerce is a broad subject and launching a business means having a proper strategy, planning and excellent timing. There’s lots of room to grow but lots of ways you can fail. So, my advice? Keep trying. Guillaume: If only I knew :) What I like about eCommerce is that no online store is exactly the same, so no project is the same either. For one particular store, the key for growth will be better inventory management, for another one, it will be traffic acquisition… For another, a subtle combination of both. You have to dig deep, find the right KPIs and then learn while testing and listen to your customers. Guillaume: That’s a tough one! To be honest, it was an obsession of mine 7 or 8 years ago, when you had to fight with caches, Varnish, indexes…Time’s passed, hasn’t it? It’s less the case since Magento 2 came out. 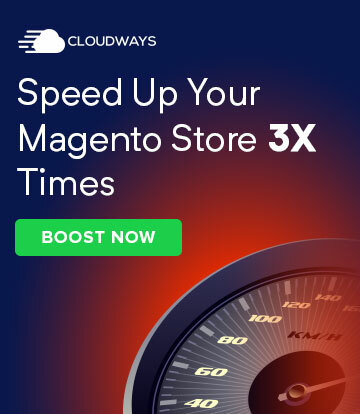 I think most of the specialized hosting providers did their homework, all the more since Magento Cloud came and took over market shares. So, first, get a reliable hosting service for Magento. 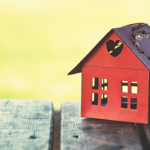 Then, once that’s taken care of, pay attention to the performance on the application side of things, by using Blackfire to isolate bad performing codes and removing useless modules. Another tip is to leverage whatever modules Magento supports like Varnish cache, RabbitMQ, etc. That should be adequate. 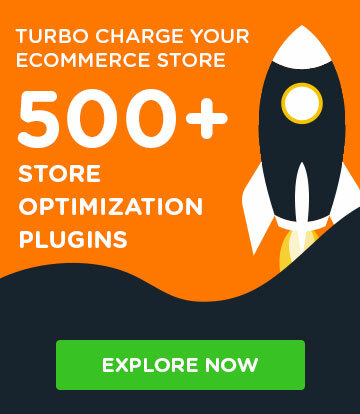 Ya know, these aren’t expert tips but they are great if someone wants to dwell deeper into Magento optimization since nowadays I am a bit distant from hosting concerns. Muneeb: Thanks for the tips! You’re a generous one, aren’t you? Here’s a good one, what’s the newest innovation you’re seeing as far ecommerce is concerned, especially in the business sector? Guillaume: eCommerce is still young and encompasses a lot of different activities, so there is room for a lot of innovations in nearly every area. Of course, blockchains, machine learning and new ways of interaction like voice will play an increasing role, once we find proper use cases for them now which is great. More important to me would be the fact that we are able collectively to bring along more ethics and more responsibility in what we build, instead of innovation for pure profit or for the sake of it. Muneeb: Since you’re a certified Magento Solution specialist, what’s your take on it that helped your career grow? Guillaume: For starters, I had to convince my coworkers at Smile to get certified. Me being one, helped me find the right words for motivation. Being certified has its own perks, but this certification goes beyond mastering Magento. For ecommerce, it’s a clear and cleaner way to get into and learn. Muneeb: Impressive! So, who’s your inspiration by the way? Guillaume: Visionaries, hard workers and people with belief in what they’re doing. Not to mention righteousness against all odds. My father, my first boss Christian Martin, Frédéric de Gombert, a former colleague who founded Akeneo, Damien, all visionaries, helped pave the way for me where I am today. I am also inspired by artists like Oscar Wilde, Scott Fitzgerald, Nina Simone, Scott Walker, and Mark Hollis. Muneeb: Now that’s inspiring. Have any hidden talents you can speak off? Guillaume: I’m a big fan of music and spend way too much money buying records I don’t necessarily have time to listen to, nevertheless, that makes me particularly great at Blind tests, very hard to beat with music from the ’80s and ’90s. I enjoy deejaying a lot also. Muneeb: Anything funny ever happens during work? Guillaume: Working in a company named Smile involves that having fun is an important part of the daily job! So I have to pick one enjoyable memory: well, I was doing an interview to recruit a new consultant, it was going well but I was running out of interesting questions, so I asked her abruptly if she enjoyed working in Magento (1.x then)’s a back office. She burst out in a joyful laugh for nearly a minute… And then i knew I had to hire her. Muneeb: And how do you spend your free time? Guillaume: I have a wonderful 4 yo daughter, Violette, I try to spend as much time as I can with her, her mother and our beloved cat, Elfie. If there’s any time left, I watch movies, enjoy reading, writing and also running (I have a great memory of the Big Dam Run in 2016 organized before Magento Imagine 2016) and swimming. Of course, music is a real passion, I listen to music whenever I can. Right now, I’m listening to Robert Wyatt’s “Shipbuilding”. Guillaume: What I like the most about my workplace is the people that I work with. Apart from my great colleagues, I like the fact that the place is simply convenient, flexible and that there’s coffee within walking distance. See for yourself. Now it’s time for a Rapid Fire Round! Magento or Drupal Commerce? Magento! Muneeb: And who would you like to be interviewed next on Magenticians? Guillaume: If I’m not mistaken, I am privileged for being the first French man featured in your interview section, which sounds a bit weird to me as France have been pioneers in the first years of Magento with many great contributors and a great community, so I guess it could be a great idea to give some attention to some Frenchmen. Romain Ruaud is one of the guys behind Elastic Suite for Magento, a module that is like Elasticsearch for Magento on steroids, and is widely used by the community worldwide with more than 1,400 Magento stores using it. I would also be interested in knowing what my former colleagues at Smile Nicolas Dupont and Benoît Jacquemont have to say. They left 6 years ago to found the PIM solution named Akeneo, and have been very successful with it (and they deserve it). 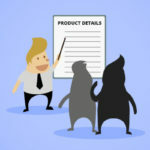 It would be interesting to know how they built a product from scratch inspired by their experience working for big customers in the Magento ecosystem. 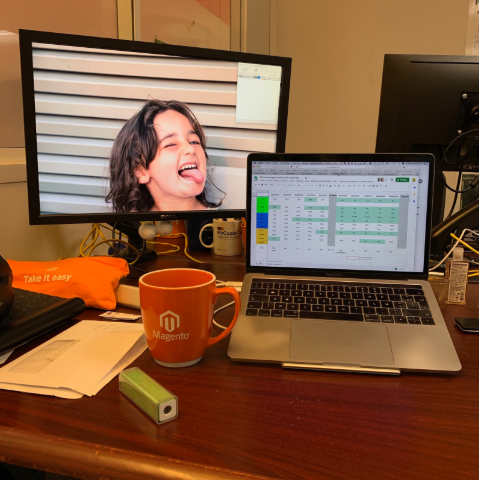 Another successful community project born in France is PIMgento, that connects all the flavors of Akeneo and Magento, Matthéo Geoffray certainly has a lot to say about it! Thanks again for this opportunity and for your great work, and long live Magenticians! You can connect with Guillaume on Twitter and LinkedIn.